Bosch Titanium-Coated Metal Drill Bits have been designed to satisfy the needs of HVAC or facility maintenance technicians, contractors and other pros who need solid, reliable bits for general-application drilling in high-carbon steel and light-gauge metal, as well as wood and plastic. The split-point tip has been engineered for no-skate starts and clean, accurate holes. 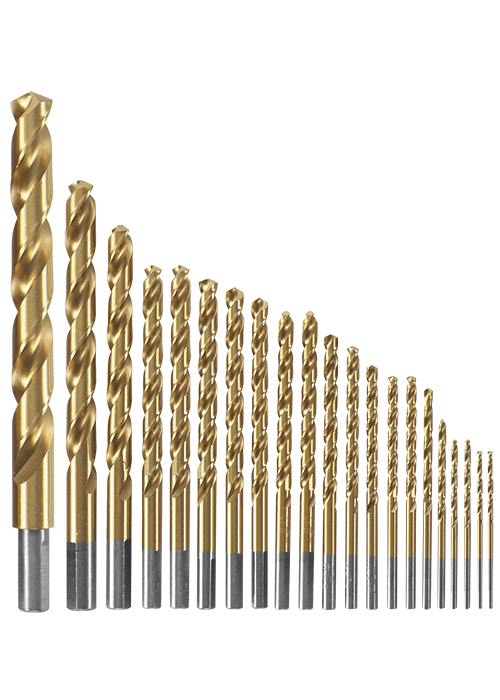 The bit provides 2X longer life than standard drill bits, thanks to the tip design and titanium coating. The three-flat shank design on bits 3/16 In. and larger promotes better gripping and guards against slipping.